”Bond. James Bond.” We all know the movie line, but fans of .380 ACP ammo are also familiar with the series’ love affair with the Walther PPK, which is, of course, chambered in .380 ACP. In Ian Fleming’s novel Dr. No, Bond is issued the compact German handgun, and it immediately became the spy’s main sidearm. From 1962 to 1997, moviegoers watched James Bond brandish his .380 ACP to save the world – and the girl – time and again. 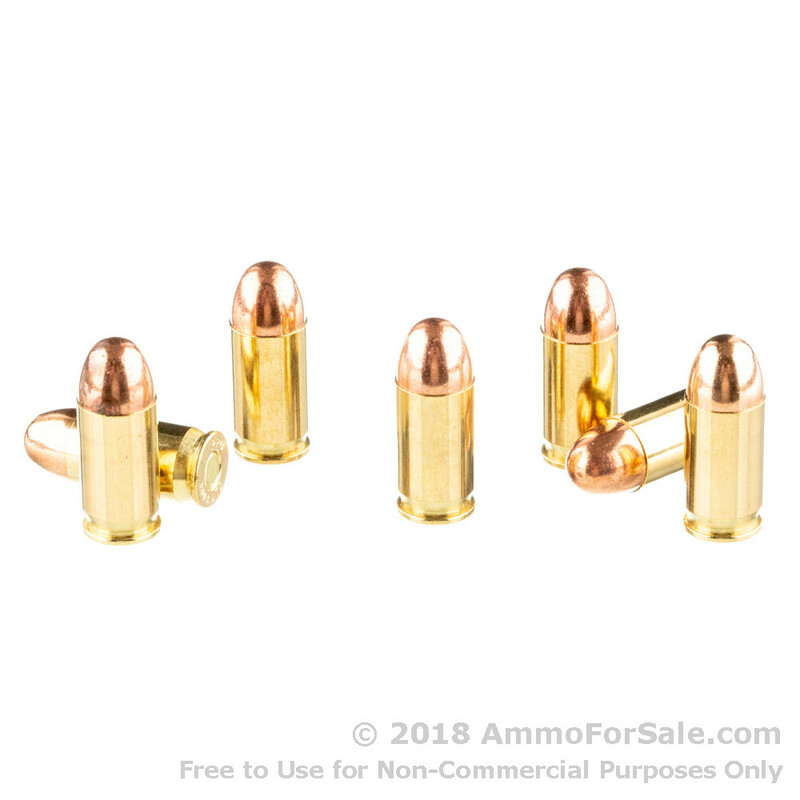 The .380 ACP is a good self-defense gun, and these Prvi Partizan .380 ACP 94 grain rounds are just what an aspiring James Bond needs for target practice and tactical training. At 94 grain these are standard weight for the caliber, although there is a slightly heavier grain available as well. 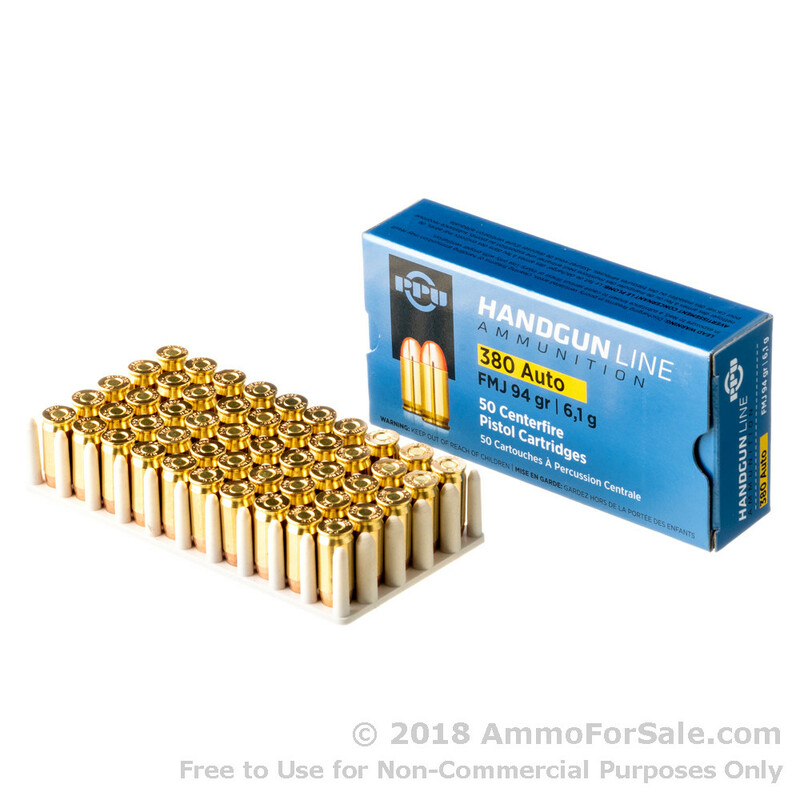 94 grain leaves these rounds nicely balanced and quick; these rounds leave your muzzle with a velocity of 951 feet per second. They have a muzzle energy of 188 foot-pounds, and if you’re at close range, it’s a good self-defense impact. 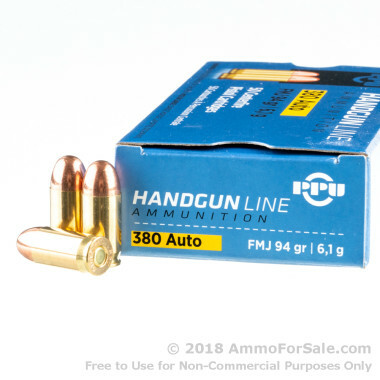 You’ll find minimal recoil and endless enjoyment putting this ammunition through our handgun. Prvi Partizan has been in business since 1928. As they close in on a century of ammunition production, their modern facility continues to maintain and improve its standards. All ammunition meets SAAMI standards and is produced under strict quality control. The company is located in Serbia, which helps keep costs down, allowing you to get more for your dollar. These are FMJ rounds, which makes them right for training and plinking. And with 400 rounds in this box, you’ll be able to keep your gun well-fed while also getting in significant practice. If you’re ready to train to meet or surpass the coolness of James Bond, order now.